What are the foods Tongan people eat? What can we do to help and educate the obesity rates in the Tongan Community? What can be done to decrease rates of obesity in the Tongan Community? What are the main issues to becoming obese? Are the obesity rates in the Tongan Community decreasing, increasing, or staying the same? When does the effects on being obese starts to correlate with everyday life? Where do the foods people of Tonga shipped from? Why is this a core issue? Why is obesity still increasing? During my research, I have found some interesting facts that stood out to me. Well for starters, I’ve ran into this news article by BBC News and part of it talks about “scraggy” meat being shipped off to the Pacific Islands. According to that news article, it has been happening for a very long time now. These “scraggy” meat were being shipped from the US and New Zealand. Leftover meat, scraps of them is what the Pacific Islanders has been purchasing and eating. These scraps are contained of so much fat. That the meat is just basically all fat. It was shocking to see how much these countries thought about the islands in the Pacific. As if their health didn’t matter. These meat can increase health problems and rates of obesity. Well, this was just some info I found that was caught my attention. An issue that I am passionate about is the risk of obesity in the Tongan Community. I care about this issue because for one, I am Tongan myself and I see the struggles Tongan people go through due to their eating habits and what the food that they are eating are consist of. 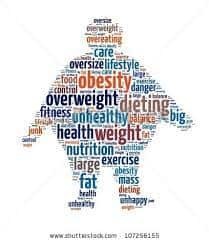 Obesity leads to risk factors like heart diseases, kidney failures, diabetes, high blood pressure, and so much more. The Tongan people needs to be aware of that and how their eating habits can lead to such risk. Questions & Issues -A.K by Agnes is licensed under a Creative Commons Attribution-ShareAlike 4.0 International License. Audio RecordingWhat do you stand for? Determine a topic to raise your voice?